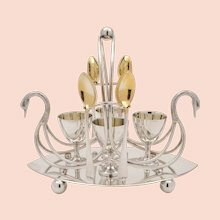 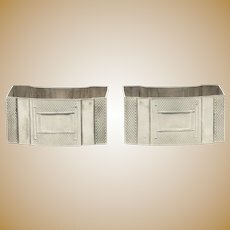 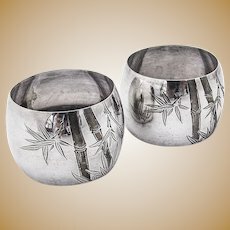 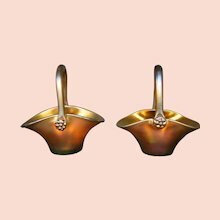 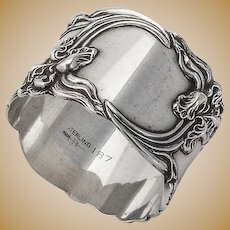 Art Deco Pair of Sterling Silver Napkin Rings, Walker & Hall, Birmingham, England, 1937. 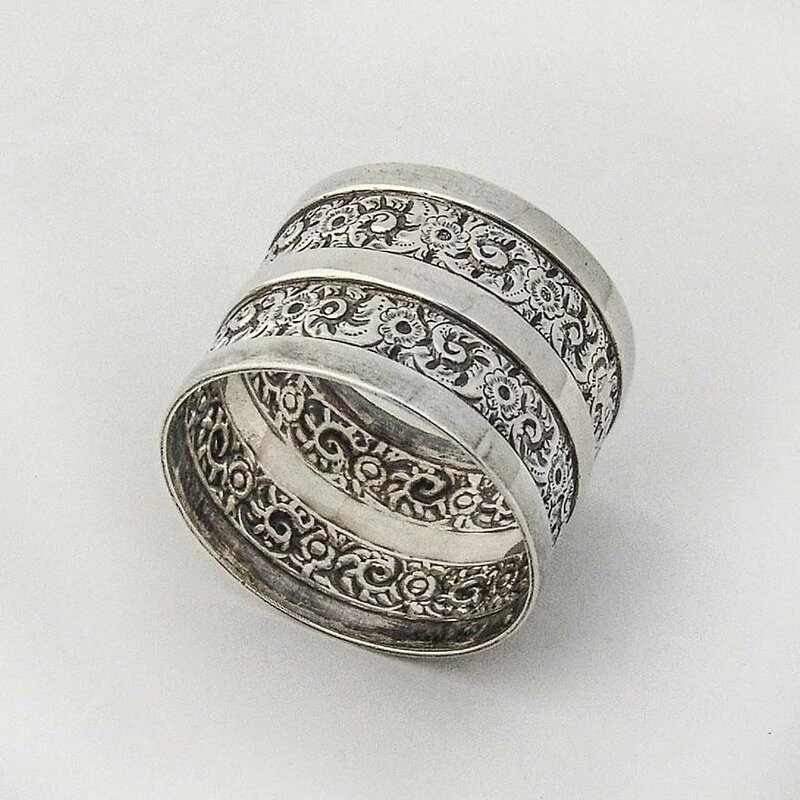 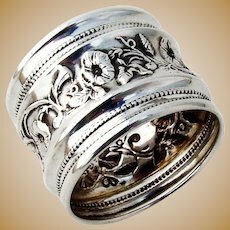 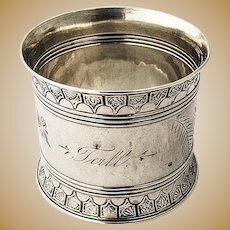 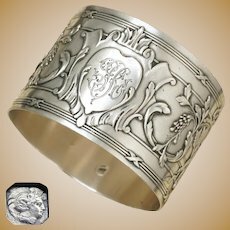 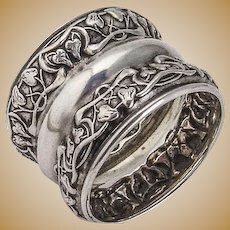 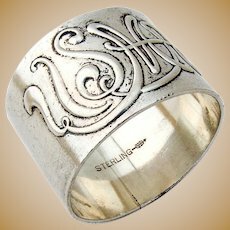 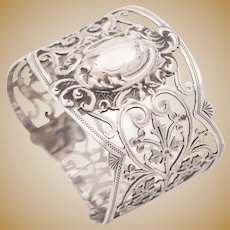 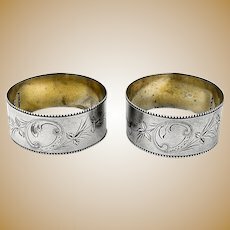 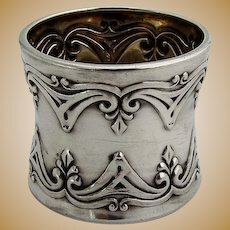 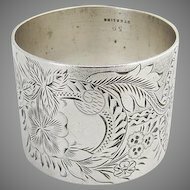 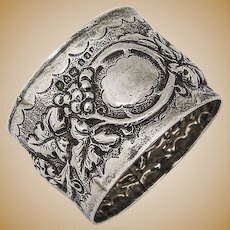 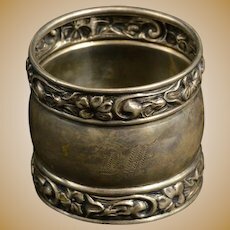 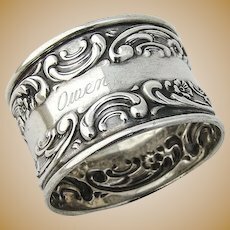 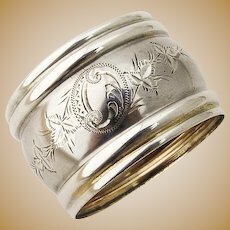 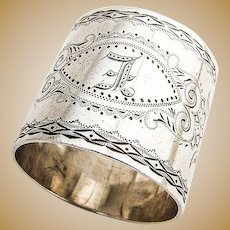 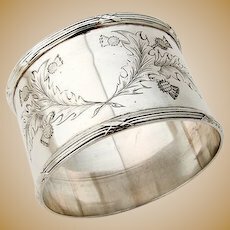 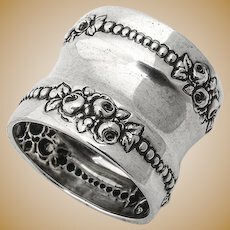 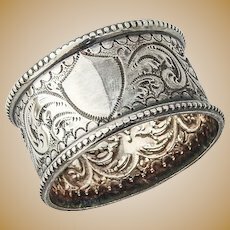 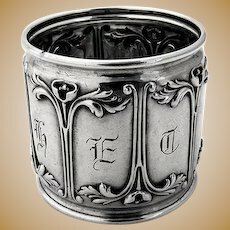 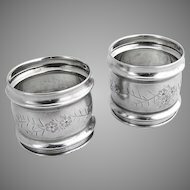 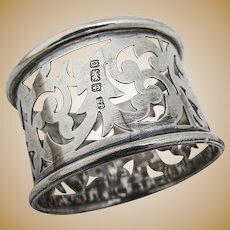 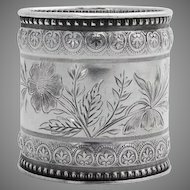 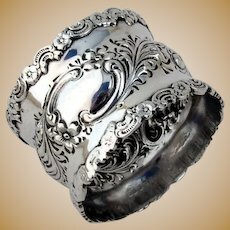 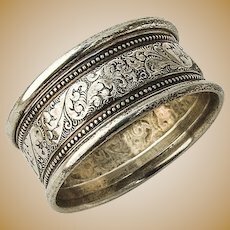 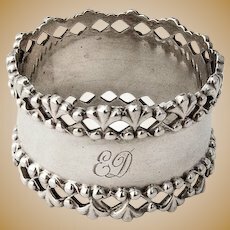 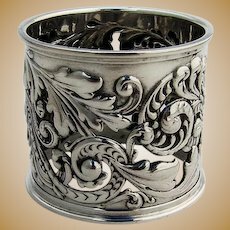 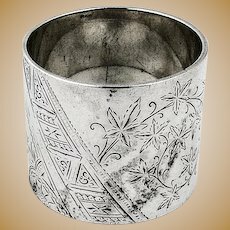 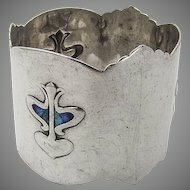 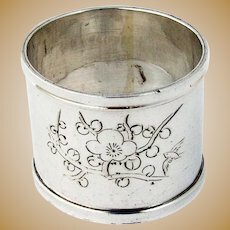 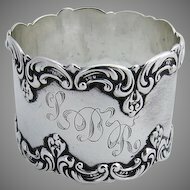 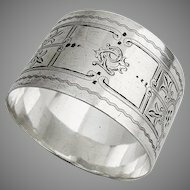 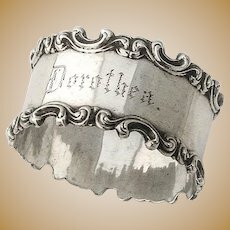 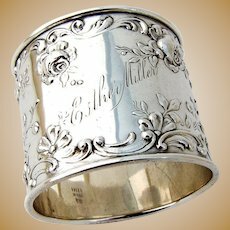 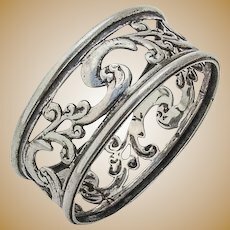 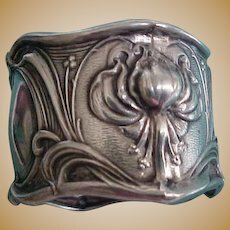 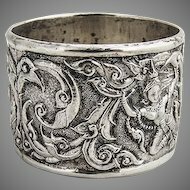 English sterling silver napkin ring with embossed floral and scroll decorations, Sheffield, 1881. 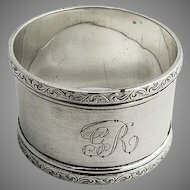 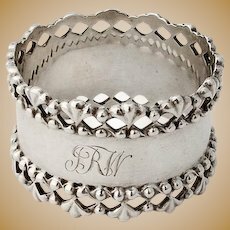 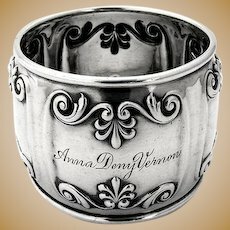 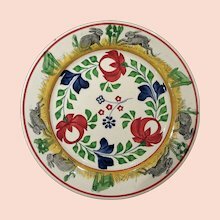 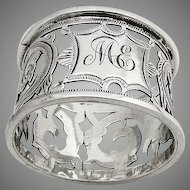 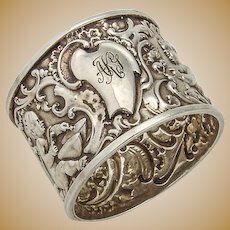 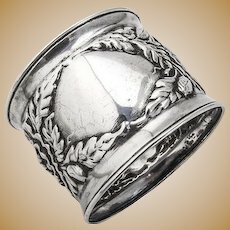 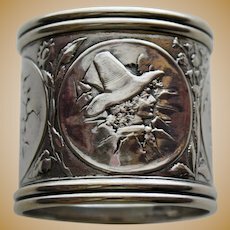 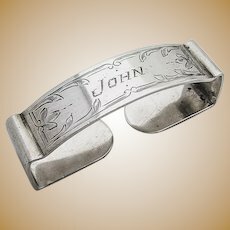 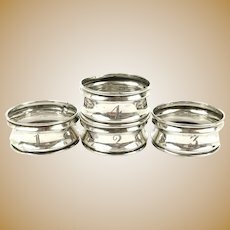 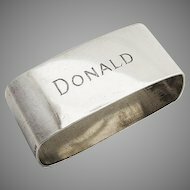 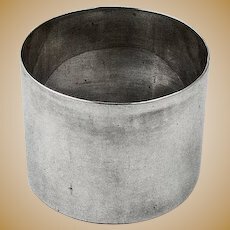 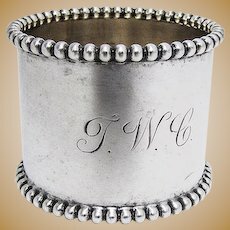 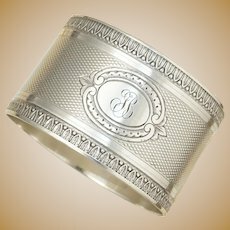 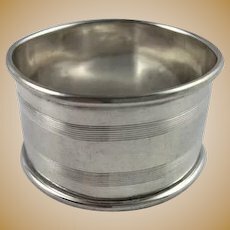 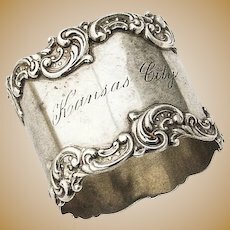 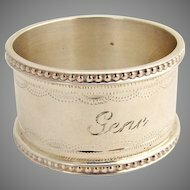 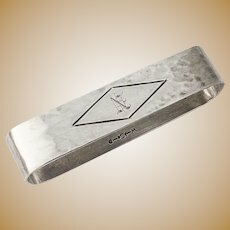 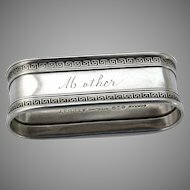 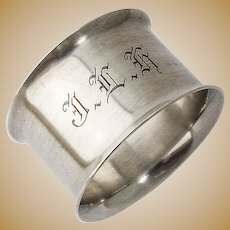 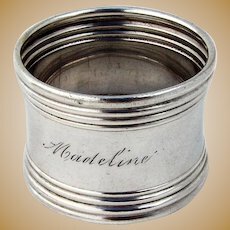 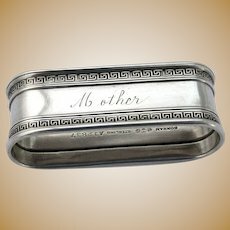 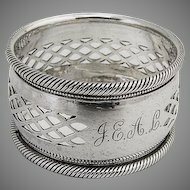 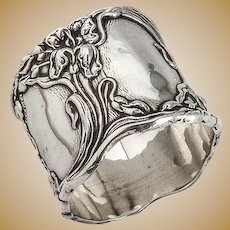 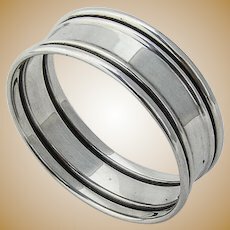 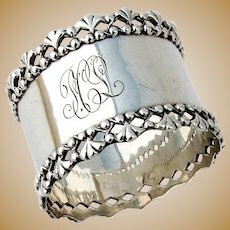 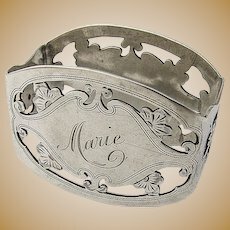 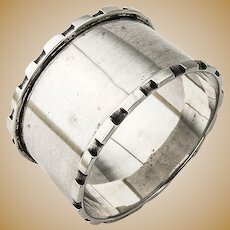 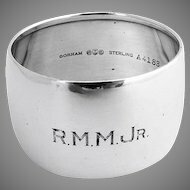 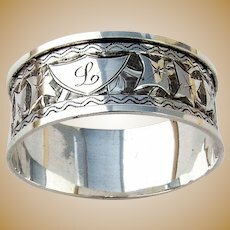 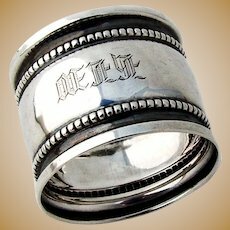 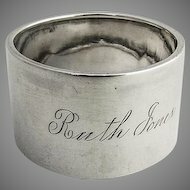 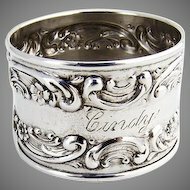 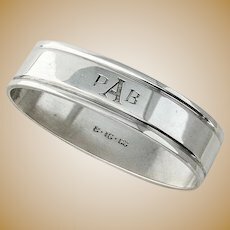 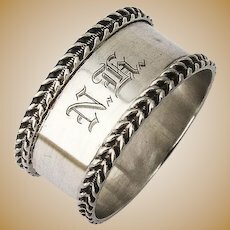 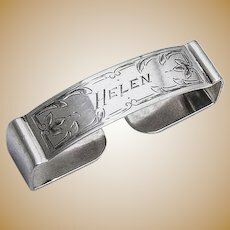 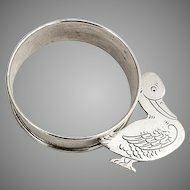 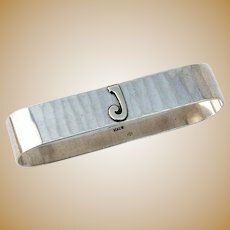 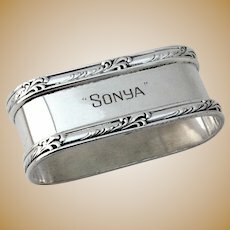 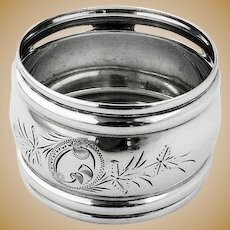 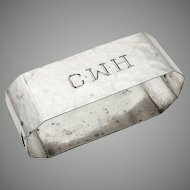 This most beautiful napkin ring is 1 5/8" in diameter, 1 3/16" tall and weighs 24.6 grams, the ring is monogrammed FW 1904.